Where to buy marijuana seeds? Cannabis seed bank reviews to help you choose the best and avoid the rest. These days, there are more online cannabis seed banks than ever before. Some are excellent, others are complete scams, and of course, the majority of them fall somewhere in the middle. But how can you know what you’re getting yourself into before you order? Anyone can build an attractive-looking website, but that doesn’t mean that the product you receive will be as good – if you even receive anything at all! Over the years, amidst the hundreds of online seed banks, several have emerged as the best, most customer-friendly online seed banks where customers consistently get the highest quality seeds, best customer service, and most bang for their buck. This comes after examining factors such as reputation, product quality, seed selection, customer service, stealth shipping methods, shopping experience and even payment types accepted. These provide a very accurate picture of each marijuana seed bank’s strengths and weaknesses. As the cannabis industry continues to grow and expand, there are certainly plenty of options, but it’s always a good idea to go with tried-and-true brands when you’re searching for the best place to buy marijuana seeds. In order to make it on this list, a seed bank has to have proven itself with a sterling record of satisfied customers, offer innovative stealth shipping methods or a guaranteed delivery option, provide a good selection of high-quality seeds, and accept payment methods that are convenient for customers. On top of all that, they also need to have friendly customer service staff that are eager to help answer your questions or sort out any problems that you may run into along the way. Depending on what you’re looking for in a marijuana seed bank, any one of these shops may work for you. Some are more suited to beginners, while others offer extremely high-end products for experienced growers. Try a few to find your favorite, or alternate between several. Here are reviews for some of the best-established and reputable seed banks on the market today. Please note that some don’t offer shipping to all countries; so make sure that you can actually receive your order before you load up your shopping cart! Despite the “NL” in their name, Marijuana Seeds NL (or MSNL for short) is actually a British seed bank. The first of the online seed banks, MSNL has worked since 1999 to perfect their online seed-selling platform, and their website is one of the best in the industry. It’s extremely well-organized, informative, and easy to use. MSNL has had a lot of time to perfect their strains, which is obvious because they have so many! 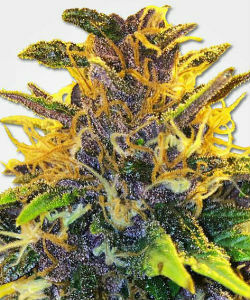 They offer a huge variety of seeds, particularly for a business that breeds all of their strains themselves. Some of their best-selling cannabis strains are: Girl Scout Cookies, THC Bomb, White LSD, White Widow Max, Blue Dream, NYC Diesel, Blueberry, Blueberry Widow, Big Bud, Golden Nugget, Sour Grape Kush, and Hash Plant. With friendly and responsive customer service, as well as fast and discreet worldwide shipping (including free shipping for larger orders), MSNL has built a solid reputation as a leading international seed bank. They accept credit/debit cards, cash, and bank transfer. They also accept Bitcoin (and give an additional 15% discount on all Bitcoin orders). Make sure to check their sales and special offers page often if you want to get the best deals on their products. As an added bonus, MSNL also gives out free seeds with every order. Crop King Seeds is a Canadian seed bank that sells its wares in physical locations throughout Canada, but it’s also a highly reputable online seed bank for international buyers. They are well-known in the cannabis seed bank industry, a trusted and established brand, and they have a good reputation among buyers. They are one of the largest seed banks, and one of the few with an extensive network of retail partners with physical storefronts, which lends them even more credibility. They offer worldwide stealth shipping with a guaranteed shipping option available for a reasonable price. Customers can pay with Visa, Mastercard, Bitcoin, and Interac E-Transfers (Canadian customers only). The quality of their seeds and the friendliness of their excellent customer service staff is beyond impressive. Some of the most popular strains at Crop King in 2019 include Blueberry, Afghani, Dark Angel, Purple Kush, White Cookies, Sour Diesel, Green Crack, Candy Cane, Northern Lights, Amnesia Haze, Train Wreck, and CBDutch Treat. 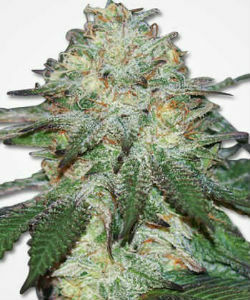 They have a nice selection of more than 30 high-quality strains. You should have no problem finding something that you like. One unique thing about Crop King Seeds is that they offer all of their customers a guaranteed germination rate of 80 percent. If your seeds are subpar, all you need to do is get in touch with one of their customer service representatives, and you’ll be sent new seeds to replace the bad ones. You don’t see this kind of guarantee very often! Ministry of Cannabis is a seed bank headquartered in Barcelona, Spain. They have a good reputation among those in the know as a top-tier seed shop. They feature booths at many 420-related events across the globe, and it’s refreshing to be able to see the real people behind an online seed bank and talk with them face to face. They take pride in preserving the strong genetics that makes their seeds so high quality, as well as breeding new innovative hybrids. Ministry of Cannabis carries both feminized and autoflower-feminized seeds as well as mixed seed packs. 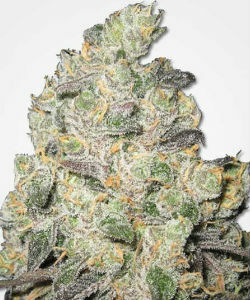 Some of their top selling strains include Zensation, Carnival, and Ultra White. They also added new strains recently, including Mamacita’s Cookies, God’s Glue, and Cannabis Light CBD (Feminized / Autoflower-Feminized). As of 2019, they only have 22 unique strains, but that number is bound to grow in the future. Ministry of Cannabis is very careful not to sell any strains that haven’t been thoroughly tested by them for quality first, so it takes time for new seeds to work their way into the online shop. One of the things that makes Ministry of Cannabis a top seed bank is its consistency. If you buy seeds from them of a certain strain ten years apart, you’re still going to get the same results or better as you had that first time. Customer service here is absolutely stellar, and you can reach someone any time of the day or night, since representatives are based in 3 different countries. Worldwide stealth shipping is available, and orders over €75 ship for free. You can pay with Bitcoin, Mastercard, Visa, bank transfer, moneygram (for orders of €100 or more), or cash mailed directly to the address provided at checkout. 1 to 5 free seeds will be given with every order, depended on how much was spent. Sensi Seeds is one of the best and most well known cannabis seed breeders, its seeds have been sold almost everywhere since 1985. They are a reliable seed bank based in Amsterdam and have won many Cannabis Cups with strains like Jack Flash #5, Shiva Skunk, Big Bud, Silver Haze, Northern Lights, Northern Lights #5 X Haze, Jack Herer, and more. Sensi offers an incredible variety of excellent strains, including regular, feminized, and autoflower-feminized seeds; they are really the cream of the crop when it comes to cannabis seeds. Their friendly and responsive customer service agents always available to assist you, they have a user-friendly website with robust search tools, and their products simply cannot be beaten. Their only flaw is that they don’t offer worldwide shipping or Bitcoin payments. A variety of resellers recognize the popularity of Sensi Seeds and have moved in to fill the gap, but unfortunately most of them are quite shady. Whenever you buy from a reseller there is some additional risk involved. Seeds bought through a middleman will always be slightly more expensive and slightly less fresh than buying straight from one of the world’s most trusted seed banks – assuming you are actually getting the strains you paid for and not some cheap clones. As one of the top seed banks since 1994, Paradise Seeds is known for breeding a great selection of regular, feminized, and autoflowering seeds. Based out of Amsterdam (where they have a brick-and-mortar store), they feature strains with excellent genetics and have won several Cannabis Cups as well as various other awards over the years. Paradise Seeds guarantees a 95% germination rate as long as customers follow instructions for proper growing conditions. Although they offer no special promotions or freebies on their site, they have a stellar reputation for offering high-quality regular, autoflowering, and feminized seeds, as well as seed variety packs. Some of their top-rated strains are Auto Acid, Mendocino Skunk, Dutch Kush, Ice Cream, and Space Cookies. The Paradise Seeds website is a dream to navigate; it’s easy to search or simply browse around and find exactly what you need. It also contains a Grow Info section with helpful cannabis-growing tips and FAQ, as well as grow reports on Paradise Seeds’ top varieties. Although Paradise Seeds ships to all countries throughout the EU, they will not ship to select non-EU countries, including the U.S. For payment, they accept credit/debit cards from a select list of countries, bank transfer, Bitcoin, and cash. Finding the right seed bank can feel like a chore. You search through a variety of online seed banks to find one that has the strains you’re looking for. You get your shopping cart all loaded up and ready to go…and then you discover that this particular seed bank doesn’t ship to your country or won’t accept the cryptocurrency you’d planned to pay with. Reading up on the following factors will make finding the best marijuana seed banks incredibly quick and easy. It seems that nearly every month, medical or recreational cannabis legalization is coming to a new state or country. With the increased amount of legalization comes an increase in the amount of cannabusinesses…and a bump in the number of online seed banks. One of the easiest ways to sort out the best from the rest when it comes to seed banks is reading up on a company’s reputation. In order to build a solid reputation as one of the most reliable seed banks, they need to have been in business for years (some of the most companies that consistently rate among the top ten seed banks have been in operation since the 1990s). During that time, they should have developed a buzz amongst customers for excellent quality and genetics, reliability, and good customer service. Every company will have some bad reviews online; a good rule of thumb is to stay away from those with a large number of bad reviews (an indication of a sub-par online seed bank) as well as those with nothing but positive reviews (an indication that members of their marketing team may be at work on review sites). 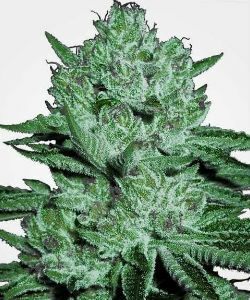 MSNL Seed Bank – Huge Selection of High-Quality Strains, Worldwide Shipping, Free Seeds with Every Order. When trying to decide where to buy cannabis seeds, it doesn’t matter if a seed bank is one of the top seed banks in the universe if they don’t have the specific strain you’re looking for. 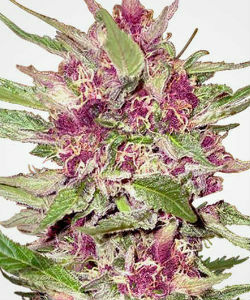 That’s why the best seed banks to order from are the ones that consistently have a mind-blowing selection of strains. Whether you’re in the market for regular seeds or need a specific feminized or autoflowering strain, it’s always nice when you don’t have to compromise on the strain you have in mind. It’s important that any seed bank you’re considering buying from has the types of seeds that you like and that work in your grow space. If you grow exclusively outdoors, it won’t do to shop at a seed bank that stocks exclusively seeds that are specifically formulated for indoor growth. This will, of course, be a personal decision based on your own preferences, but it’s also important to think about how your tastes may change over time. Your favorite seed bank may stock your current favorite, but what will be your favorite a year from now – or even ten years from now? Look for a seed bank with a well-rounded seed selection that allows you to grow into it over time and experiment with new strains that you may otherwise never have tried. Working with the best seed banks means that not only will you be able to find exactly what you’d like to grow; it also means that you don’t have to place orders with three different breeders or brokers to find all your strains and get all your shopping done. Grow cannabis long enough and you’re sure to experience it: the batch of beans where not a single one pops. Gamble on a little-known seed bank and you could raise your risk of this happening. This is why experienced marijuana growers search for the most trusted seed bank – on order to find the ones that are known for consistency and quality. Marijuana seeds aren’t cheap; buying from a well-established company with superior products and a reputation for a high germination percentage increases your chances of growing a healthy and productive crop. Look for companies with strains that have received honors such as Cannabis Cup Awards. 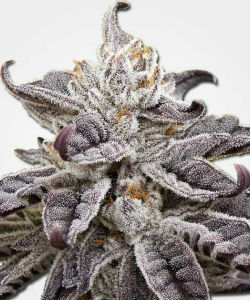 Other clues as to a product’s quality can be found in the description of the strain. Usually, cannabis seed banks that provide a detailed, thoughtful description of each of their products (including its growth statistics, effects, and genetics) are the ones that really take pride in their product. This usually means that they have a high-quality product that you can trust. When companies reward you for your loyalty, it makes you feel like coming back and shopping there again. Seed banks are no exception. Those that offer special offers/promotions and free seeds generate huge buzz amongst their happy customers. MSNL excels at this; they have a great special offers page with rotating sales and seed discounts, and they also offer a loyalty program and free seeds with every order as well as 15% off Bitcoin payments. Especially if you’re going to frequent a cannabis seedbank, it pays to make sure they’re going to reward you for it…or at least run some great specials to help you get more bang for your bean-buying buck. MSNL Seed Bank – Mind-Blowing Promotions, Special Offers, Free Seeds, and Worldwide Shipping. Online seed banks offer a diversity of website experiences. Some can be visual overload: cluttered and hard to navigate. Meanwhile, others are clean and straightforward and practically guide you to exactly what you need. Shopping experience matters, and you shouldn’t have to spend five hours blindly clicking your way around a seed bank website in hopes of stumbling upon what you’re looking for. This is why some of the best seed banks to order from are ones that have clear categories for their strains and seeds, as well as a robust search feature that allows you to find the seeds you want. It’s also a huge plus if a seed bank has tips to help novices learn how to germinate and pamper their seeds properly. While seeking for the best place to buy cannabis seeds online, one of the biggest disappointments a potential seed bank customer can face is to find a company with amazing selection, reasonable prices, wonderful special offers/promotions, and even some extra freebies thrown in…only to discover that this particular seed bank only ships to select countries. This is why one of the most important factors to check before doing any shopping is whether an international seed bank ships to your particular country. In addition to this, check to see what their shipping options, prices, and policies are. Some online seed banks offer stealth shipping for free, while others require additional fees for stealth as well as guaranteed stealth shipping. Check each seed bank’s website to see what their policies are before you shop so you won’t be surprised during the checkout process (or worse – if there’s a problem with your order after it ships). Regular shipping: Orders are sent out in their regular packaging. This is ideal when shipping to countries where buying/growing cannabis seeds is legal. Stealth shipping: Seeds are often removed from their packaging and are sent inside random objects. Seed banks get creative with stealth shipping; you might receive your seeds inside an empty ink pen, a CD, a cheap piece of jewelry, etc. Some seed banks offer free stealth shipping, while others charge an additional fee to camouflage your order. Guaranteed stealth/insured shipping: If you live in a country where it’s illegal to buy/grow cannabis seeds, your seed bank order may be confiscated by customs. This is why many online seed banks offer customers the opportunity to purchase guaranteed stealth shipping during the checkout process. Think of it as insurance for your order. If your seeds are confiscated and don’t arrive, the seed bank agrees to re-ship your order at no additional charge until it finally arrives at your door. Having a diverse array of customers across the globe means having people who want to pay with a diverse assortment of payment methods. The best seed banks accept a wide variety of payment options, from credit/debit cards, cash, bank transfers, and money orders to Bitcoin and other cryptocurrencies. In addition to finding a marijuana seed bank that will accept the form of payment you intend to use now, finding one that accepts a variety of payment methods will ensure that you’re covered should you switch from money orders to credit cards or cryptocurrency for your future cannabis seed purchases. If you’re paying with a credit card, make sure the seed bank you’re shopping with accepts your particular type of card (many only accept Visa and MasterCard) from customers residing in your country, as certain seed banks have geographical restrictions on certain types of credit cards. One thing that people often forget to verify when searching for the best place to buy weed seeds is their return policy. Usually, people only look at it after they’ve placed their order and need to return a product, sometimes to discover that it’s less generous than they would have liked. Make sure that you read each seed bank’s return policy in full before you place any order to make sure that it sounds reasonable to you. If a seed bank doesn’t have a return policy listed anywhere on its website, that is a major red flag and it could very likely be a scam, so make sure to look for it. Even the most trusted seed bank will eventually have a problem with an order or a product. The question is – how do they respond when this happens? When looking for the best seed banks to order from, pay special attention to reviews that talk about the level of customer service a seed bank offers. While every company is bound to have some detractors, take note of a seed bank that has numerous complaints about similar problems (customer service being rude or totally unresponsive, for example). The best seed banks build reputations on treating each customer with respect and viewing every order with the utmost importance. The Best Online Cannabis Seed Banks of 2019 – Go and Grow! Whenever you’re dealing with a new seed bank, you never want to blindly place an order. Make sure you do your homework first and ask yourself a few key questions before deciding where to buy marijuana seeds online. Is the seed bank you’re considering well-known and well-loved, infamously bad, or unheard-of? Do they have a good selection of the types of seeds that you prefer? Are those seeds of a good quality and held to high standards? Do they have a customer service team that is easy to get in contact with, friendly, and willing to work with the customer? Is their website user-friendly and easy to navigate? What are their policies on stealth shipping, returns, and payment methods? Once you’ve answered each of these questions to your own satisfaction, you’ll be ready to choose the seed bank that’s the best choice for you. Armed with this knowledge, you’ll be less susceptible to scam weed seed banks and businesses that are more concerned with making a quick buck than keeping a loyal customer base. You’ll be able to warn your friends away from shady companies and steer them toward better choices. With one less thing to worry about, your grows will go smoother than ever before, and you’ll be able to sit back and enjoy the process rather than seething over bad seeds or wrestling with uncooperative customer service agents to try and return damaged products. Buying from trustworthy seed banks can make all the difference in the world.